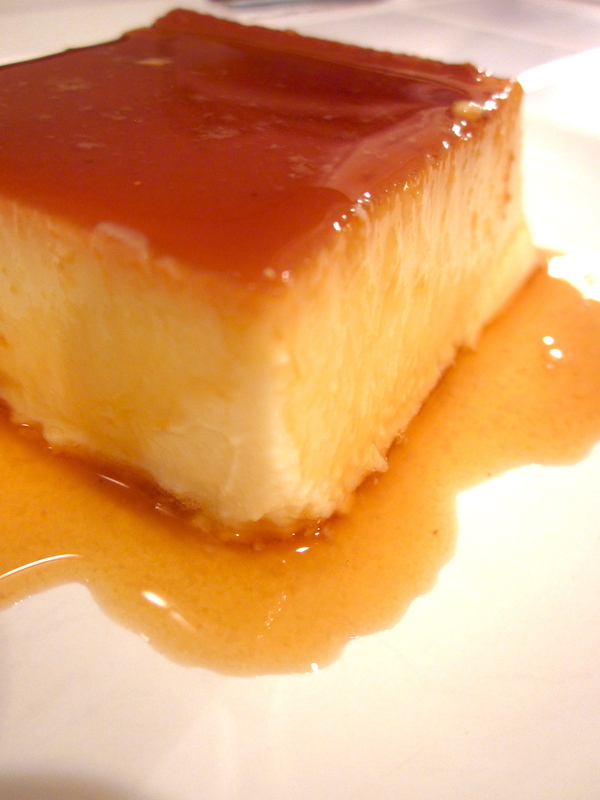 I’m loving all things flan, pudding and custard lately. 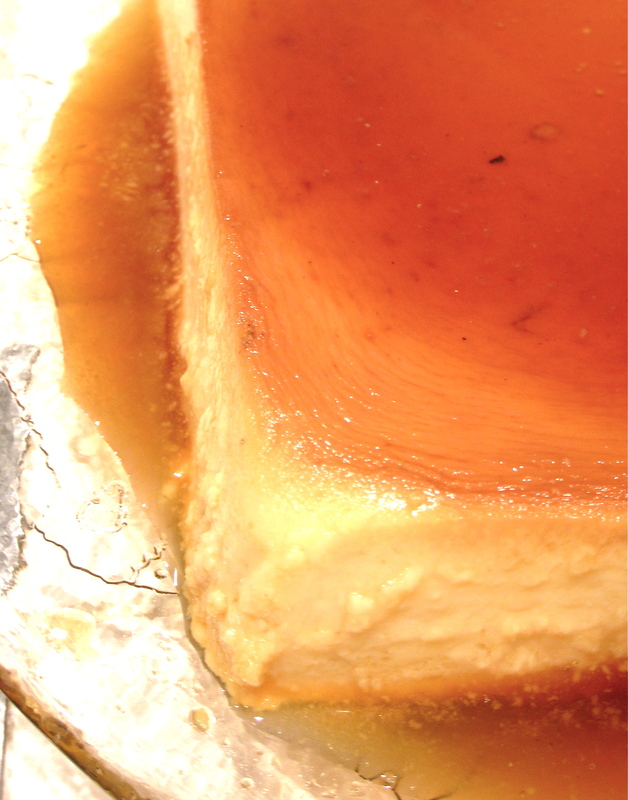 Originally I had planned on making an egggnog flan for our Christmas dinner, but then I found this recipe for a caramel cream cheese flan on Morsel & Musings and just had to make it. 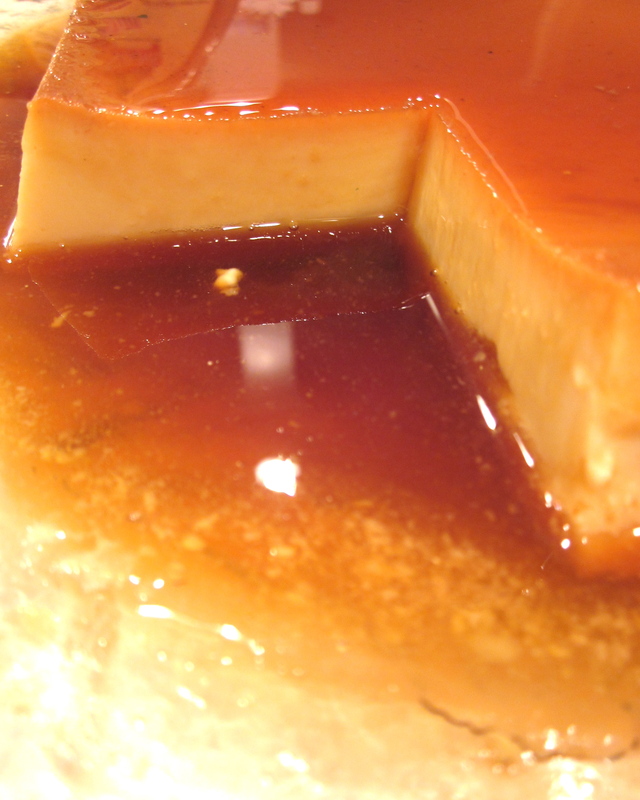 Rich, decadent and silky smooth is how I would describe this flan. Carefully melt the sugar in a saucepan and allow to brown gently to form a caramel. Pour into a cake tin or flan mold. (I used a 8″ x 8″ x 1-1/2″ square pan). Mix all of the other ingredients together in a blender. Place inside a bain-marie in the oven for approximately 50 minutes or when an inserted knife or skewer comes out clean. Leave to set in the refrigerator for at least 2 hours or overnight. When cooled, turn upside down and serve.